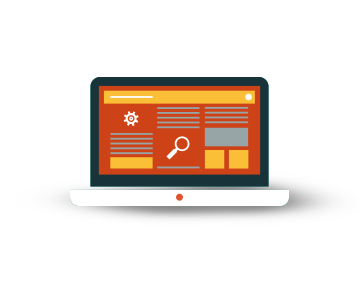 The White Label Advertising Server has an automatic translation system that immediately translates any email sent or received inside the platform, facilitating every communication. Thanks to the complete translation of the platform in different languages. Right now the interface is completely translated in 13 languages : English, Italian, German, French, Spanish, Russian, Czech, Portuguese, Hungarian, Serbian, Croatian, Romanian and Arabic and we are working to add new ones. 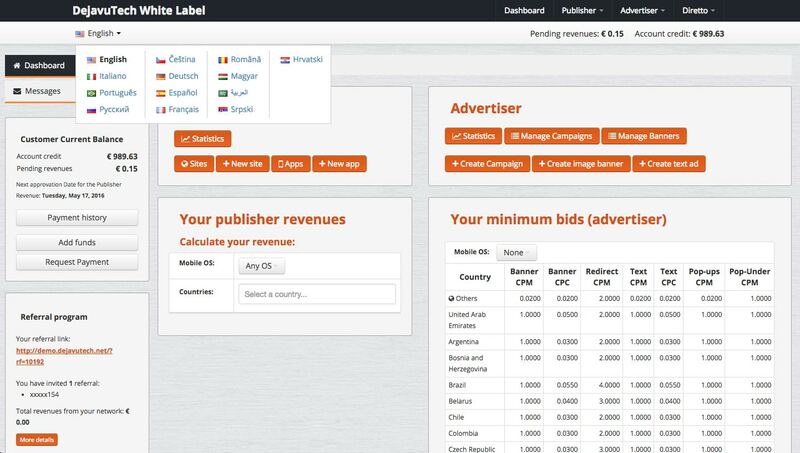 Using this feature, admin, publishers and advertisers will be able to easily work with customers all over the world. Besides, if the administrator has specific translation needs, a new language could be easily implemented in the interface.